graf-X-cape is a graphic design house and marketing consulting company located in Findlay, Ohio. We are constantly working to embrace new facets of marketing including social media and search engine optimization. Please consider liking our FACEBOOK page to keep on eye on what we develop for our clients. You may see something that you could integrate into your own marketing plans. We have a wide variety of client interaction. Some clients stop in once/twice a year and request an update to a brochure or an ad to accompany an article placed in a local magazine. Other clients sit down with our marketing team and define a target market. From there plans are developed. We can purchase mailing lists, create short range and long-term marketing plans, establish budgets and identify marketing media that is audience appropriate. 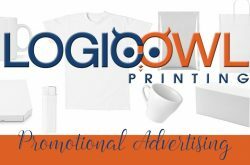 Billboards, print ads, fliers, brochures, catalogs, web graphics, social media, SEO, business cards and so much more are all possibilities. We can talk about expected return for investment and how aggressive of budgets to set based on desired outcomes. For new business or those that are ready for a brand overhaul, we offer logo development. Creating an ideal logo shouldn’t be rushed. We have a hard and firm rule about logos. Every graf-X-cape brand starts in the simplest of black and white – not even shades of grey creep into round 1 of logo development. The logo design has to work in this simplest form to be sure a client is satisfied with silkscreen files, embroidery files and church bulletin photocopies. With a strong concept that captures the essence of the business and the entrepreneur on the drawing board we move forward with color. And more color. 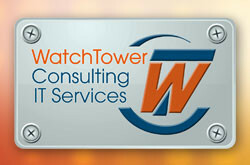 We can add shading, tones, – we can make a logo spin around – the skies the limit for a logo designed with good bones. That is what we provide our new clients! Regardless of where a small business is on their path to marketing success, we welcome a chance to meet with you and learn about your journey! We couldn’t be happier. graf-X-cape created a beautiful logo for us. He gave us a number of great design options. And patiently (with good humor) guided us through the process. I love following all of the social media that graf-x-cape manages – especially Why I Love Findlay. It is incredible to see so much local info and businesses promoted! #shoplocalfindlay is one of my favorite hashtags to see! Graf-x-cape’s owner is very creative and hard working. It really shows he likes what he has been doing. So people in Findlay and surrounding areas check out what he can do for you. I have used graf-X-cape many times in the past and have referred them to friends. I have always had a good experience with graf-X-cape and two of my friends said how much they appreciated not only the creativity but also the willingness of the owner to work for what they wanted to get. 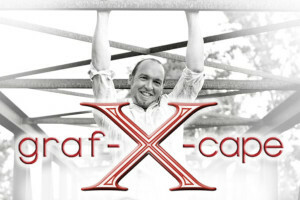 I have been a client of graf-X-cape for several projects over the last two years. I have never been disappointed with David’s creativity. And the projects have been completed in a timely manner. After several projects with graf-X-cape; I have been more than impressed with the creativity that is brought to the table. Graf-X-cape has turned my ideas into incredible artistic designs. David of Graf-X-cape does excellent work. He is very creative and his fees are very reasonable. I highly recommend him.